Intercontinental Terminal Company (ITC) has just extinguished a massive chemical fire at its Deer Park TX tank farm, where holding tanks filled with petroleum and other volatile chemicals burned benzene into the atmosphere, triggering a large-scale environmental health concern. At the same time, ITC holds an ISO 9001:2015 quality system certificate issued by ABS-QE for the scope of “bulk liquid receipt, storage and delivery.” The address indicated on the certificate is the same as that which burst into flames. The certificate was signed by ABS-QE President Alex Weisselberg, and is accredited by ANAB. The ISO 9001 and RC14001 audits conducted by ABS-QE should have ascertained assurances that ITC had the capability to reliably and consistently perform the services indicated by the scope of the certificate, including chemical storage. The fire is now out, with 9 of 15 tanks destroyed. Local EPA officials have implemented a “shelter-in-place” order for residents, forcing them to remain indoors with air conditioners turned off, and wet towels covering the cracks in their doors to prevent toxic benzene from seeping inside. ABS-QE had previously certified the work done by Hercules Offshore, a company found responsible for an oil rig blowout protector failure similar to that which caused the Deepwater Horizon disaster. No lives were lost in that explosion, but 44 crew members were evacuated and the rig utterly destroyed. Hercules Offshore nevertheless maintained its ISO 9001 certificate even after the disaster, but the company was later liquidated in the fallout. That certificate was also accredited by ANAB. ANAB’s logo was also found on the certificate for the BP Oil management company responsible for the Deepwater Horizon disaster; that certificate was issued by the certification body BSI. 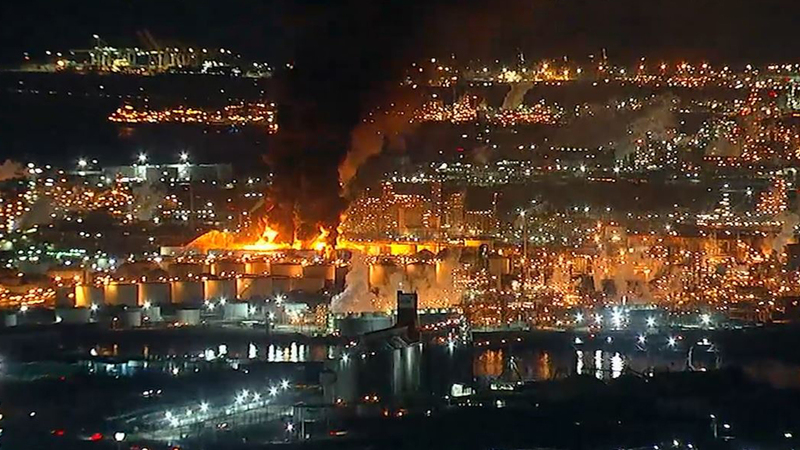 That explosion killed 11 rig workers and caused the largest man-made environmental crisis in human history. The plant of Kuraray EVAL in exploded killing 22 workers; that company held ISO 9001 certification issued by DNV-GL, also accredited by ANAB. ANAB is tasked with auditing “certification bodies” such as ABS-QE and DNV-GL, and then accrediting them, so as to give authority to the resulting certificates. ANAB is then supposed to oversee such bodies to ensure they only issue certificates to companies who comply with the requirements of the standard named on the certificate. Despite this, ANAB has routinely found its logo on certificates issued to companies who were late found to have violated not only those standards, but also applicable laws. The ANAB relationship has been criticized as a “pay to play” scheme, in that companies such as ABS-QE pay ANAB for the accreditation mark, allegedly to grant authority to the certificates, which then disincentivizes ANAB to hold such companies responsible. When ANAB de-accredits a certification body, it risks losing the revenue from that body. Officials from certification bodies and ANAB are never questioned in subsequent investigations, despite their audits granting them unprecedented access to the certified company’s records, procedures, personnel and methods. 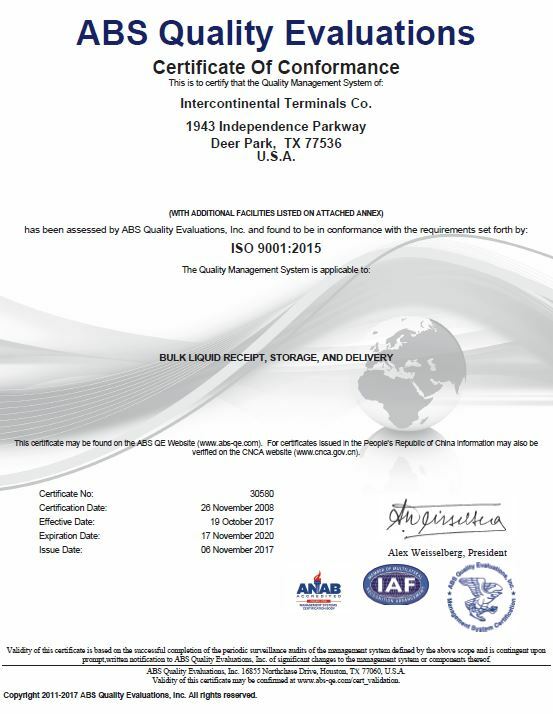 ISO and the auditing bodies insist that such certificates are not a guarantee of quality or safety; however, this position contradicts the literal language appearing on the official certificates, as well as that of the marketing by ISO and the certified companies themselves.